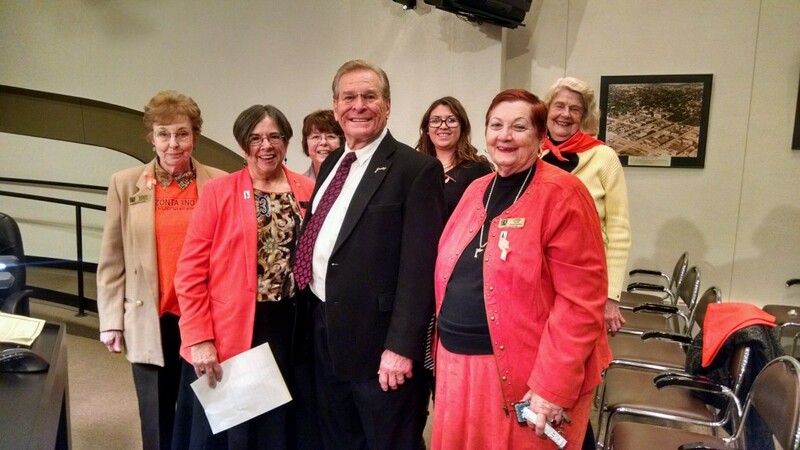 Mission: The Zonta Club of Greeley is a group of professionals that work through service and advocacy to empower women and girls by raising their status, locally and internationally. Zonta Club of Greeley has Silent Witness displays that tell the stories of victims of domestic violence. 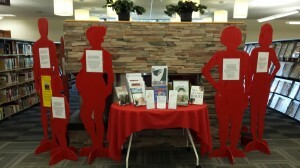 This display was at the Centennial Library for the month of June. This project is part of the Zonta Says No! to violence against women campaign. 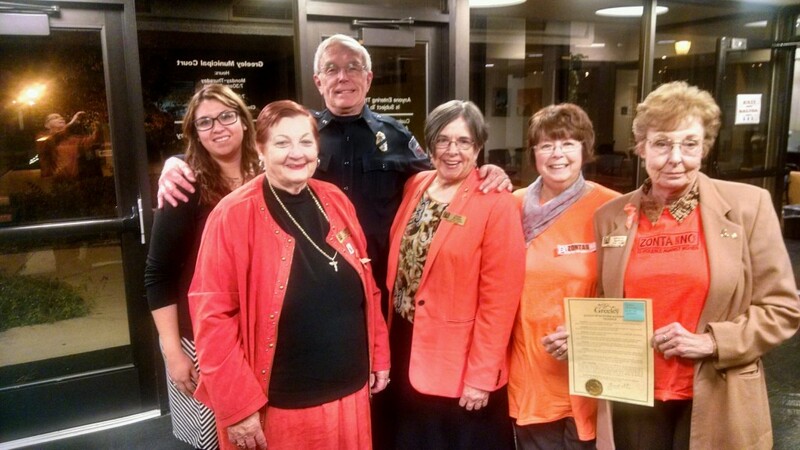 Some of our members with Mayor Thomas Norton, after reading our Proclamation for 16 Days of Activism Against Gender Violence at the City Council meeting, November 17, 2015, to coincide with the Zonta says No to Violence Against Women campaign. Our President, Susan Bromley, gave the response, with statistics from A Woman’s Place, our women’s shelter, who sent a representative. 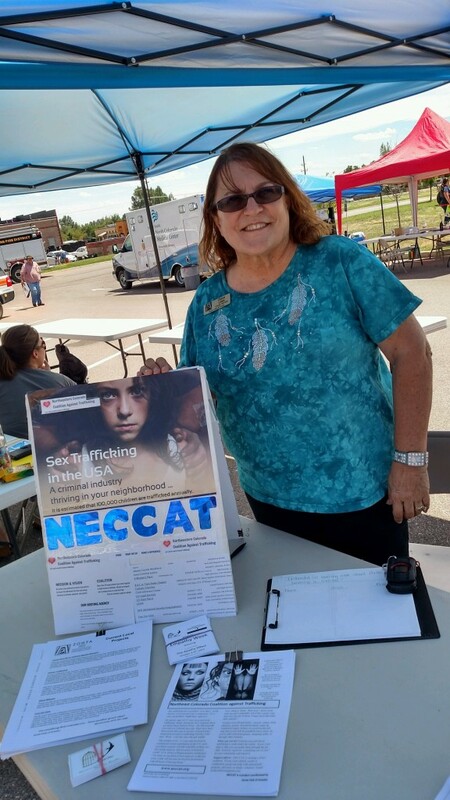 Diana Laws, Zonta Club of Greeley, has been the driving force in organizing NECCAT, the North East Colorado Coalition Against Trafficking. In less than a year, 26 agencies, including area law enforcement and social service agencies, meet monthly to work together to combat trafficking. Betty Edwards of the Pikes Peak Zonta Club, who was instrumental in forming the Human Trafficking Task Force of Southern Colorado, provided excellent guidance for formation of NECCAT. See article from Colorado Anti-Trafficking Inside.